Case IH Maxxum Series tractors combine efficient power with operator convenience to handle the large workload and multiple tasks of livestock operations, row-crop applications and roadside mowing. Maxxum tractors have joined the ranks of Case IH high horsepower ranging 110 to 176. From tractors powered by FPT engines with proven SCR exhaust technology that provides increased performance and fuel efficiency. Maxxum tractors are designed to handle the multiple tasks of livestock operations, row-crop applications and roadside mowing. In addition to enhanced cab visibility and thoughtfully designed controls and comfort, all models boast the PTO rated (90-120), hydraulics and transport power boost that are the hallmarks of Maxxum tractor performance. 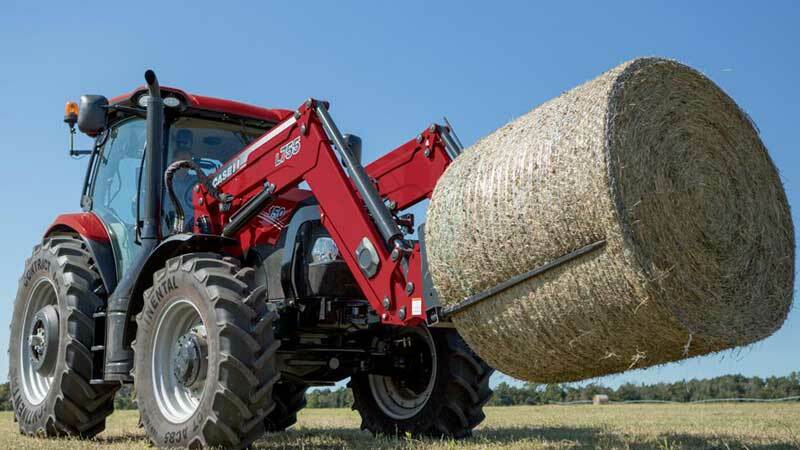 Maxxum tractors are available loader-ready from the factory and designed to operate as a system with the three available Case IH loader models. And to make sure you get the productive loader work out of your Maxxum, there's a wide range of buckets and tools. That way you can easily select the perfect tool or attachment, no matter what you need to get done. Getting the most out of yourself, and your tractor, means spending your time getting the job done. So Maxxum tractors are designed for the long hours you put in, offering more uptime and higher productivity. Long story short, you get long days, long service intervals, long service life.